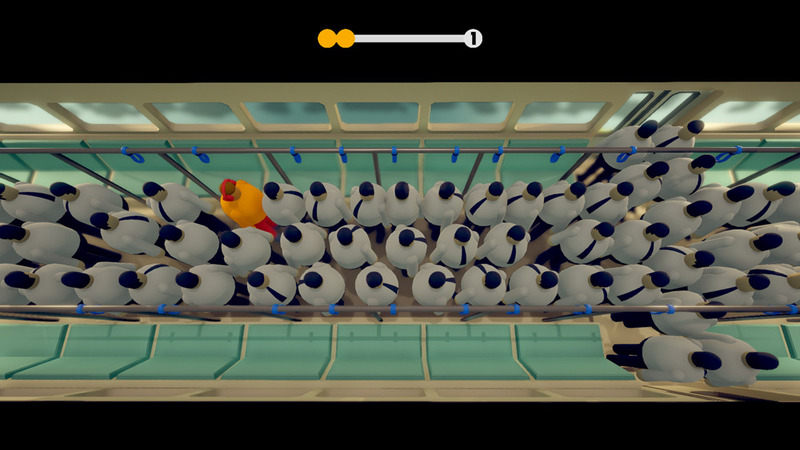 "A fun and unique puzzle game about trying to get off a train"
Stuck is a silly puzzle game where you play as a man on what seems to be a Japanese Subway train, that is rather packed with quite obese businessmen (and of course yourself which is another obese person but made obvious as you are wearing a yellow T-Shirt and headphones meaning that your character stands out. The objective is to reach the doors of the subway train before you get to the next stop and get make sure that your character doesn’t miss his station. 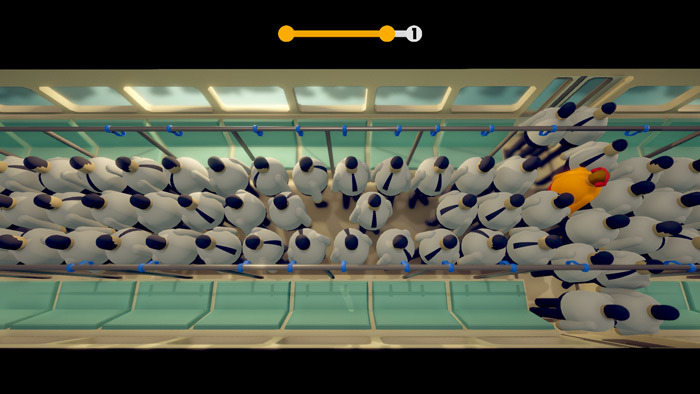 To do this you need to try to push your way through the crowd however the subway is absolutely packed and this is where the puzzle elements come in to the game as you need to try and work your way around these rather large people but make sure when they burst back in to place it leaves you with space to continue on and try to make your way towards the door before your stop. It is a really fun and unique game however we had a lot of trouble trying to get the final two people out of our way at the door so you may find that you fail many times before you successfully get off of the subway train. A bright and interesting puzzle game with simple mechanics, you can download Stuck here for free.